SAN ANGELO, TX -- Widespread rainfall is causing some minor flooding in San Angelo and the Concho Valley Thursday morning. 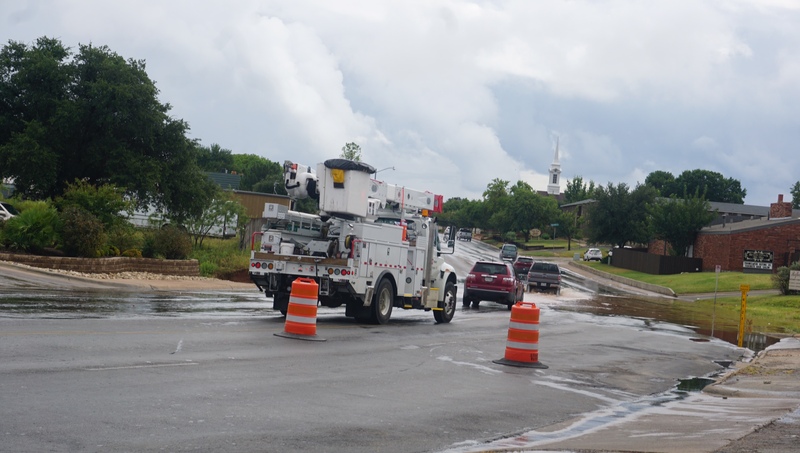 According to the National Weather Service office in San Angelo, at 6 a.m., areas of scattered light to moderate showers, with a few embedded heavy showers, were occurring across West Central Texas. Rainfall rates were generally a quarter to half inch per hour, and locally 1 inch per hour. Coverage of showers should continue to increase this morning, with isolated thunderstorms also possible. Localized flooding could occur under heavier, slow moving showers, especially at low water crossings, and in poor drainage places. Motorists should be alert for suddenly reduced visibility in heavy rain, and avoid driving into areas where water covers the roadway. Scattered to numerous showers and a few thunderstorms will affect the area again today and tonight. The main hazard will be heavy rainfall, which may result in localized flash flooding. Showers and thunderstorms are forecast through the weekend. Periods of showers and thunderstorms will continue to affect the area Friday through the upcoming weekend. Some of the rainfall will be heavy at times, especially Friday and Saturday. The main hazard will be localized flash flooding.